The Believers Are But Brothers is a one-man show which attempts to explore the smoke and mirrors world of online extremism, anonymity and hate speech. It also invites audiences to experience the world of young disaffected men online, by joining an interactive Whatsapp group throughout the performance. 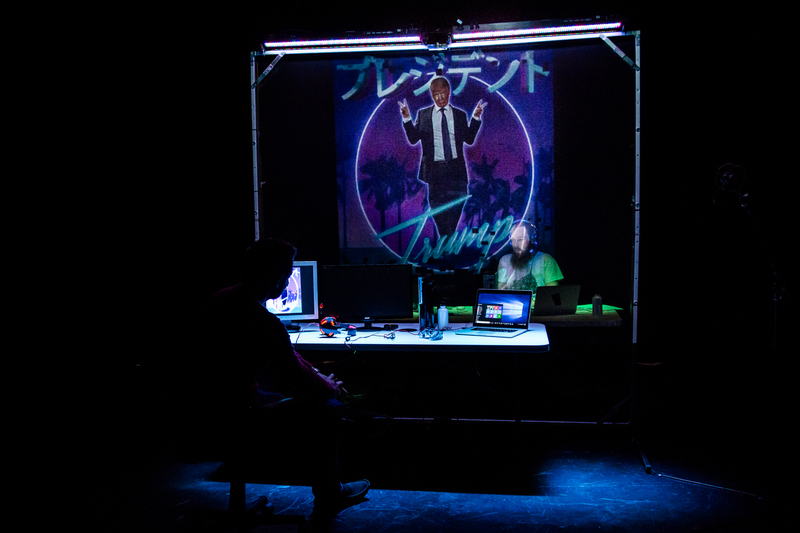 On tour, at the Hippodrome Theatre in Birmingham, here’s my review of this production which tries to uncover the terrifying repercussions of religious extremism online. It has been written by and is also performed by Javaad Alipoor. 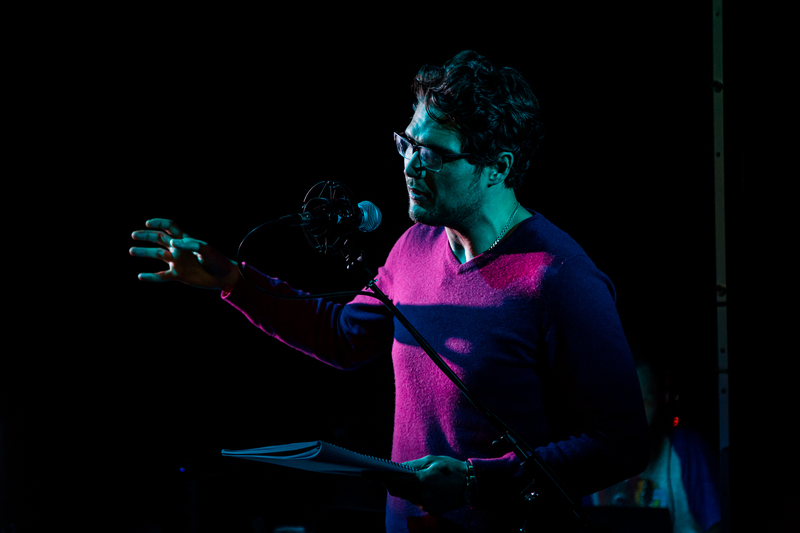 He launched it at the Edinburgh Fringe in 2017, winning one of The Scotsman Fringe First Awards. It takes its title from a quote in the Qur’an. It explores how not just Muslims, but young men from many different backgrounds have become immersed in extremism online. In early 2016, Javaad began research on the young Muslims who run ISIS supporting social media accounts, some from within the so-called “Islamic State”. Working with journalists and specialists, he studied the curators of IS news sites and their supporters. Delving deeper, Javaad found himself lost in an electronic maze of terrorists, terrorist sympathisers, fantasists and police spies. He attempts, through the show, to re-create an electronic maze of fantasists, meme culture, 4chan, the alt-right and ISIS. It comes across, at times, as more of a lecture than a play. He tells the story of three young men; Atif, Marwan, and Ethan. Atif and Marwan are British Muslims turned ISIS members enticed by the same propaganda video of a bombing in Syria. Ethan is a middle-class, non-Muslim who watches distressing films from his bedroom in America. I wish we had spent more time with each of the characters – the show is only one hour, and there’s too much content to cover. It’s hard to uncover these three men in any depth. The language is poetic and powerful. At times, it can be hard to follow, especially when the Whatsapp group keeps pinging with messages – maybe that’s the idea. This play makes it clear that we live in a time where old orders are collapsing: from the postcolonial nation states of the Middle East to the EU, tech savvy extremist groups rip up political certainties. It highlights how a generation of young men burn with resentment. I’m not sure it adds anything to the discussion, though.